Gina K. Designs - New Release Hop, Day One! I am SO excited to be a part of this hop today! I'm also hosting today's Mix-it-up Monday Challenge at Stamp TV - hope you'll check it out, and play along! 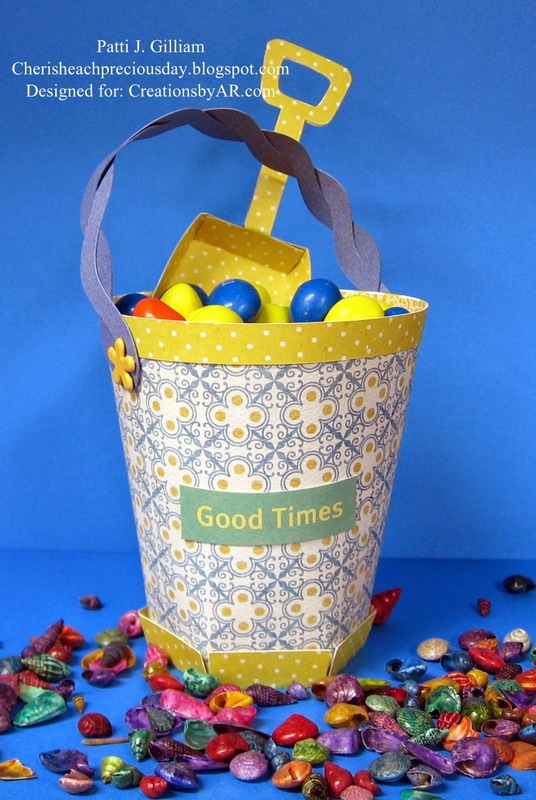 And as you hop through their blogs, make sure to leave a comment on each of them because we will choose a few random comments and those stampers will each win a grab bag of Gina K. Designs products! To see the full list of winners check the Big News Forum at StampTV a few days after the hops. The first set of cards features Melanie Muenchinger's "Fabulous Frame". Melanie is one of my favorite designers ever. Here beautiful flowers, frames, and baskets are all so versatile. 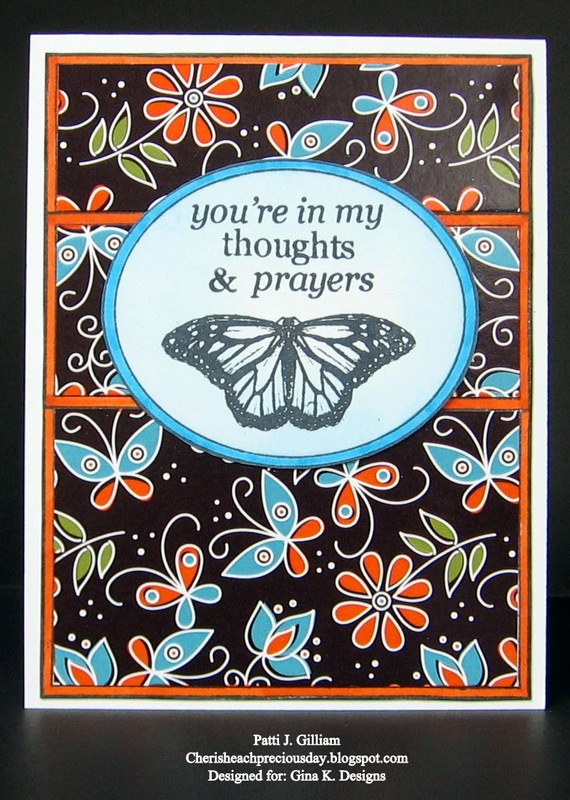 I find myself reaching for them so often, in sending cards to my Chemo Angel Buddies. And what a dream this set was to create with...endless possibilities! 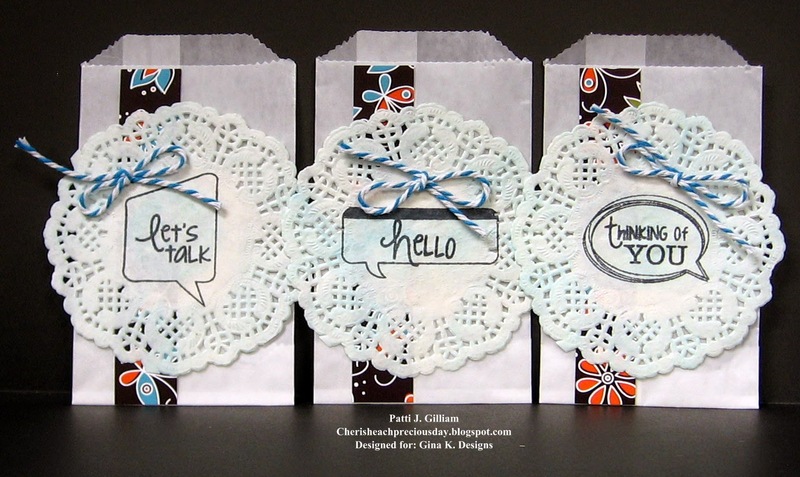 Next up are some projects created with Debbie Corbari's "Let's Talk" set. O.M.G. How do you spell F.U.N.? Had a great time playing with this set too! Thanks for stopping by - hope you will stop back by tomorrow for two more new sets! 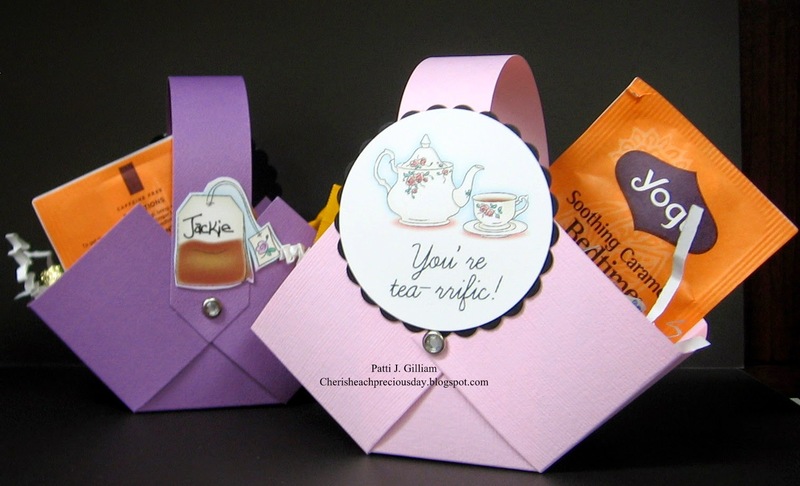 Each container has a tea-rrific greeting on one side, and a teabag with name on the back side. I enlarged the tea bag, and made a nice folding card, complete with a groveling, sheepish, pleading for forgiveness apology! Here are all of them - boxed and ready to go to church tomorrow. TEA pot.........OOPS! So explains the two pots! One for coffee, one for tea. To make matters even worse, I had forgotten to dump the grounds, so their tea water was brown. 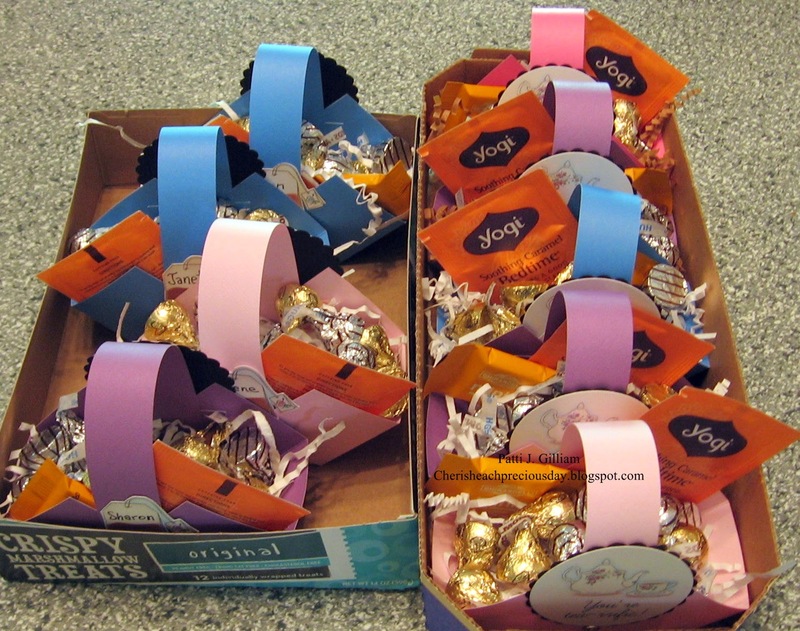 So...this little gift of Hugs & Kisses, Mini Ghirardelli's, and yummy Caramel Tea will be on their table in the morning when they meet. Hopefully, I will be forgiven, and maybe even eventually find my way back up on my pedestal, reserved for nice people!!! Good morning, and welcome to my post for Die-Versions! Today, I'm showcasing a fun edge die. I am loving all of these beautiful edges - they cut so nice and clean, and what a fun way to add a bit of sentiment to your card! This sweet Sherri Baldy 'Bestie' image was colored with Copics, matted up all neat and tidy (with my Perfect Layers mini's), the wonderful edge die was added, and a bit of bling. TA DA! Easy, peasy, oh, so speedy card! Hope you will hop over to the Die-Versions store and take a peek at the fabulous dies in our new Diva collection! There's something for girls young, and younger! fun, and amazing inspiration there - each day brings a new creation! 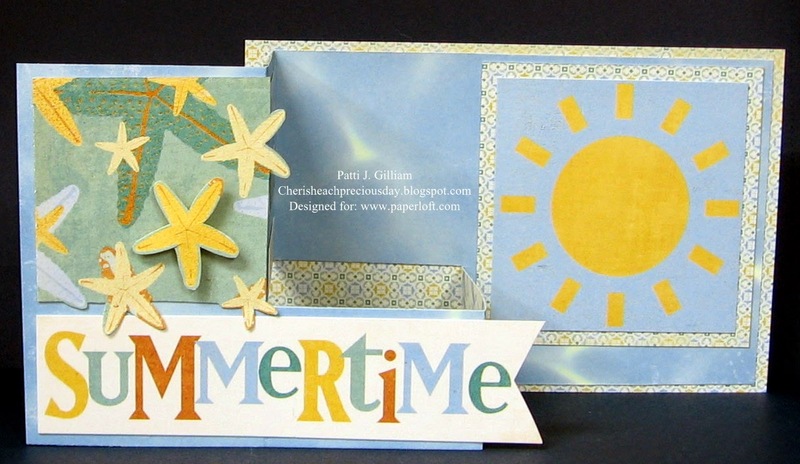 with a fun card that's all about summer. Last month, I was honored to be selected to Guest Design for The Paper Loft. To be honest, I had not heard of their company until a friend became a DT member. Thanks to Debbie Seyer directing me to their store and blog, I entered the monthly challenge, and here I am. Here is the card all closed up, neat and tidy! All of you know me well enough to know that I won't endorse a product, unless I really like it. 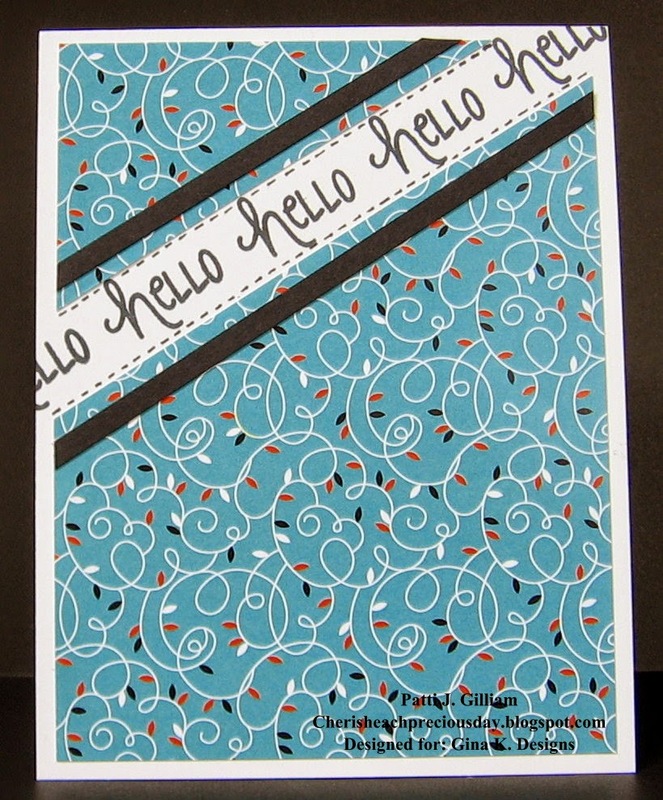 This cardstock is beautiful. Truly beautiful! created from the cardstock collection "Island Sun". 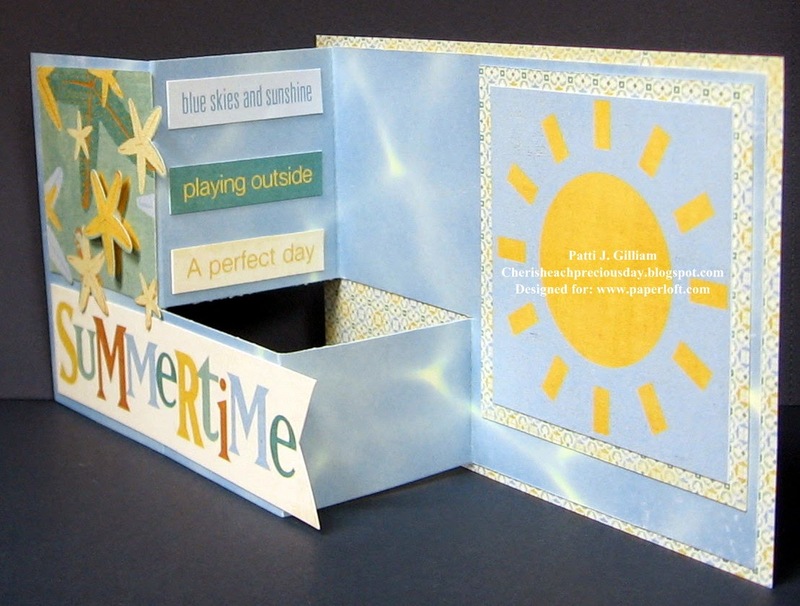 Check it out at The Paper Loft - you will love it! 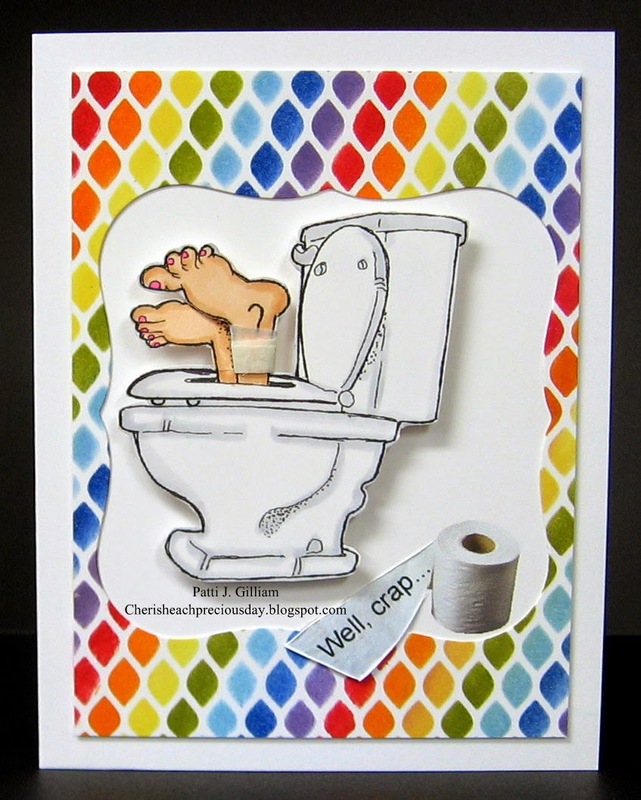 Met up with some stamping friends last night, and this was one of the fun cards that we made. You can find instructions HERE - just do a search for Pull Out Card. 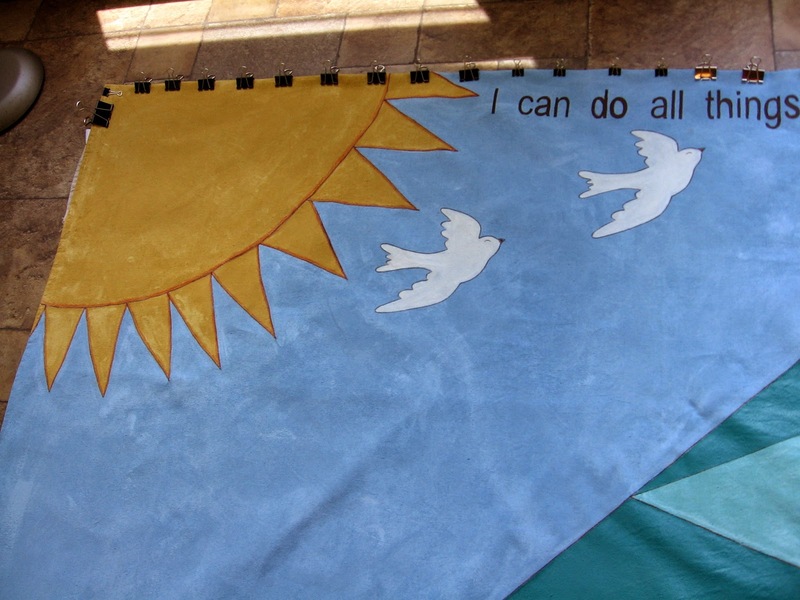 Also used my Perfect Papercrafting Mini Rulers to get this perfect mat for the sunshine. Check out my sidebar for details! Side view - what fun!!! Had to show you the back so you could see the yummy 'other' side of this pretty paper! 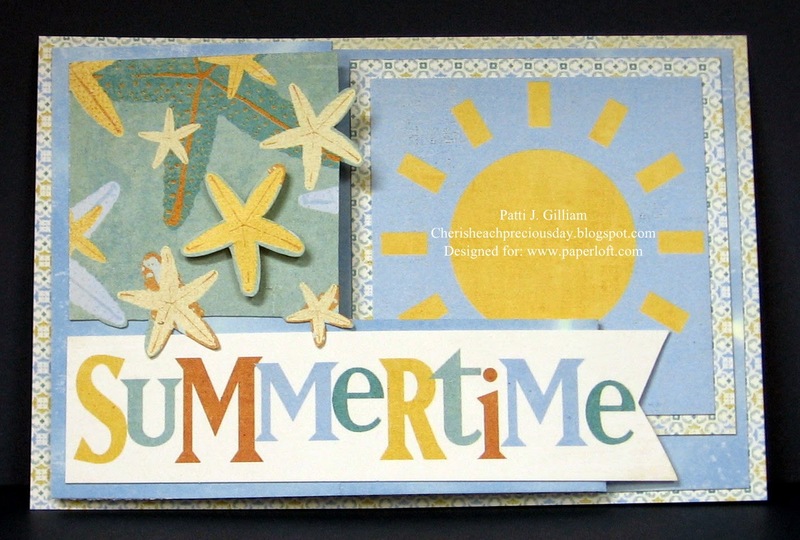 I've also been enjoying the Paper Loft Blog - there is inspiration galore! Hey there, dear friends and family! I know I have been MIA for the last few days. I thought I would share what I've been working on! 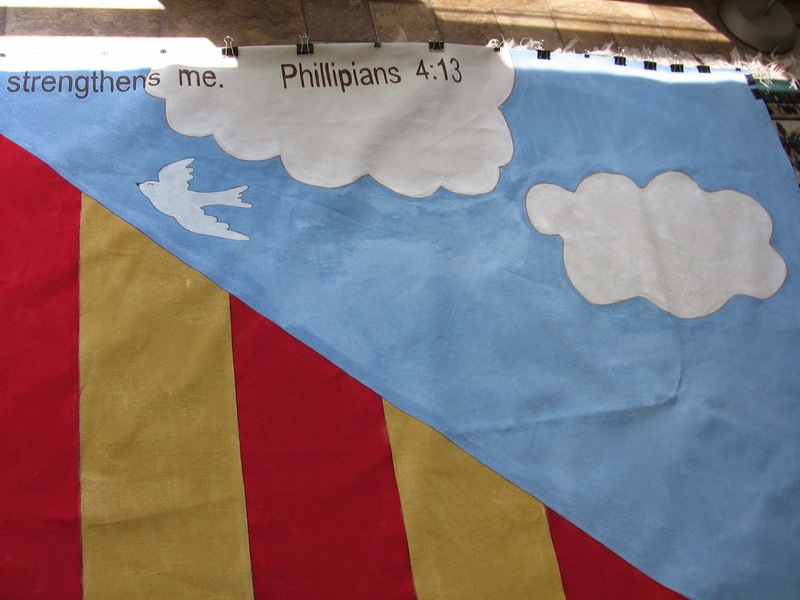 This is a backdrop for our Vacation Bible School. 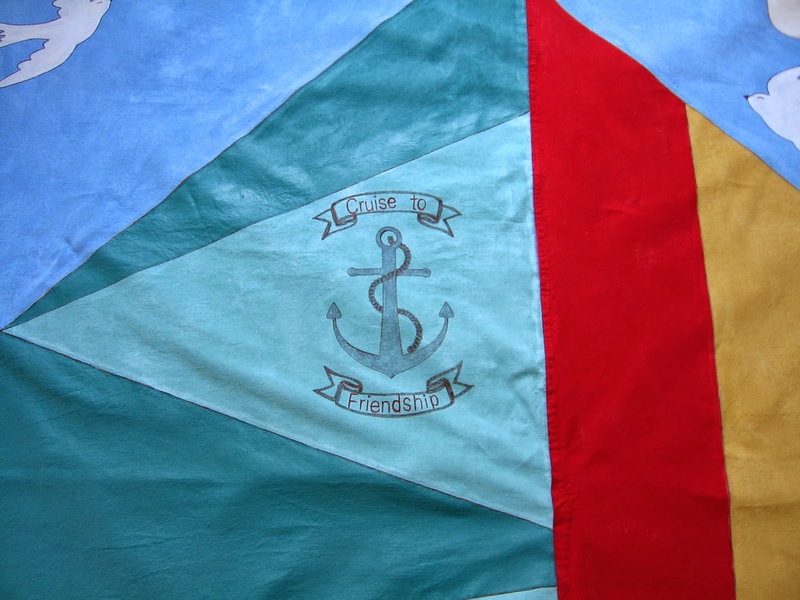 The theme is 'Cruise to Friendship Island', and each night is a different theme, like Shipwrecked, Survivor, etc. The music, games, and crafts all coordinate with the theme of the evening. 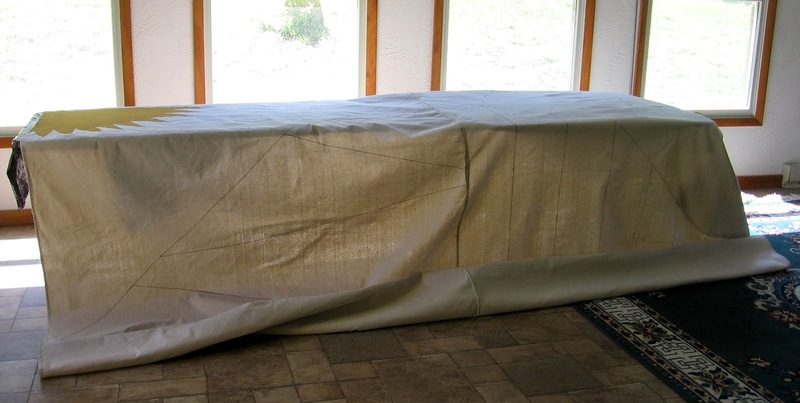 This tarp is laying across TWO long folding tables! Please ignore the beautiful row of binder clips at the top. 'Someone' should have sewn a casing prior to painting.....hmmmmm....now I really have to come up with a Plan B. I'm so stinkin' proud of myself! DH bought me a Silhouette for my birthday, way back in April, and I've been a bit intimidated by it. I actually cut the words of the bible verse out, and used them as a stencil! The birds and anchor is also cut with my machine, and stenciled on. In other news, our church secretary has been in the hospital for several weeks. Another lady and I have been sharing the work week, and filling in while our dear secretary is ill. This old retired lady is not used to being up, showered, breakfast prepared, served, and cleaned up, and being 18 miles away by 8:00 a.m. anymore! I will get here when I can, and will drop in on you all when I can! Have a good day, and thanks for being patient with me while I'm away! Good morning, and a happy Monday to you all. I have been keeping a secret for a few days! As of today, I can officially shout it from the rooftops! Here is my big news! 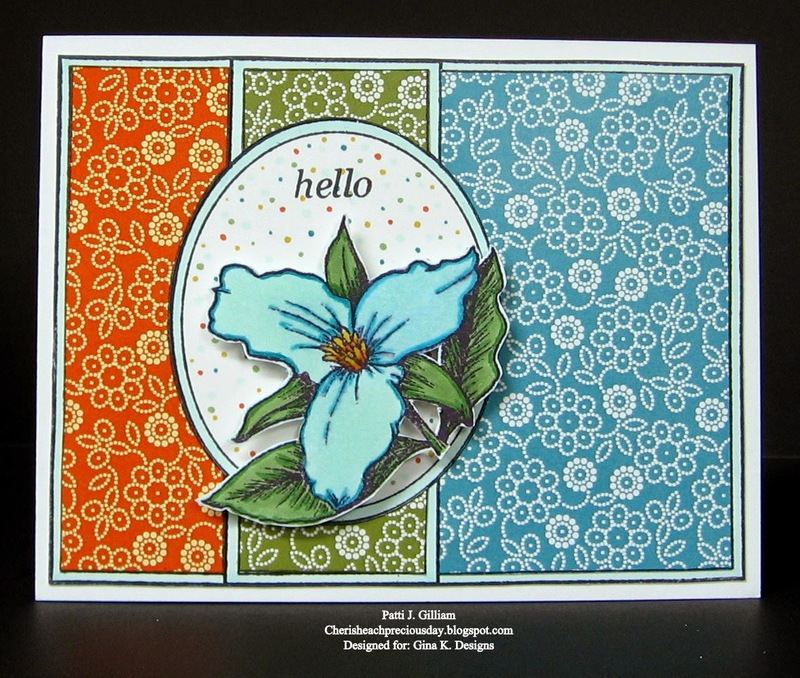 I am going to be a Guest Designer for the Gina K. Designs June release! This is so exciting, and I can't wait to work with the GKD Design Team. What a great group of fun and uber-talented designers! 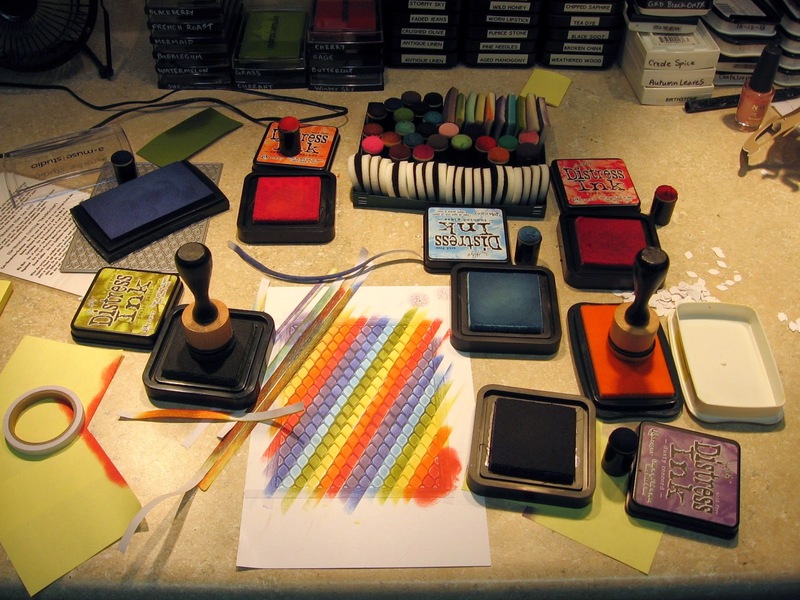 Gina K. Designs was one of the first stamp companies that I found once I began papercrafting. Theresa Momber, who has long since become a DT member and illustrator for Gina K. Designs was the first 'non-family' person to comment on my brand new blog. She convinced me to enter my first challenge, and introduced me to Gina K. Designs. Many years have passed, and the crew at GKD has grown a lot, but are still the most fun, friendly, and talented folks, and I am proud to be working with them this month! 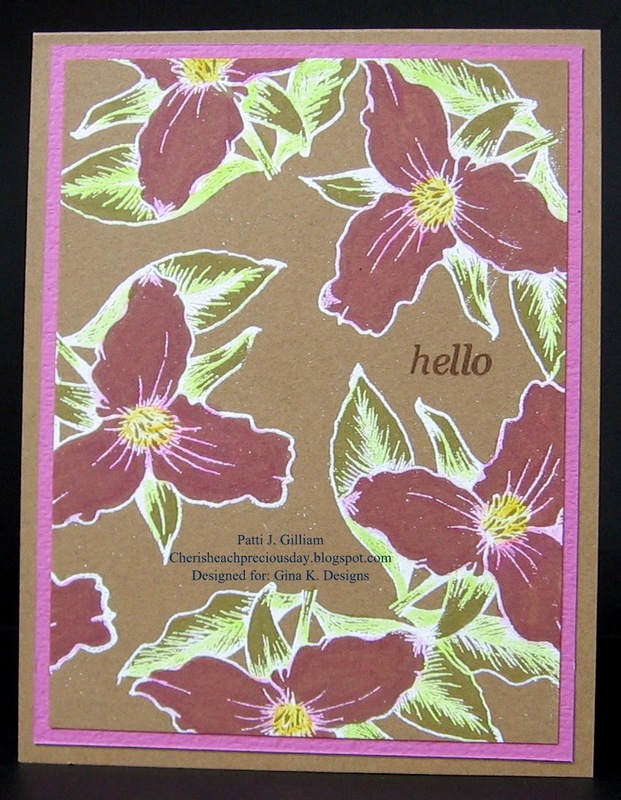 Thanks Gina, and the StampTV DT for your daily inspiration, positivity, and amazing products! I am looking forward to the end of June! I hope that all of you will check back here, and over at StampTV later in the month for the reveal of the wonderful new stamp sets! It's a Creations by AR Beach Hop! So glad you could join us in our Beach Hop! 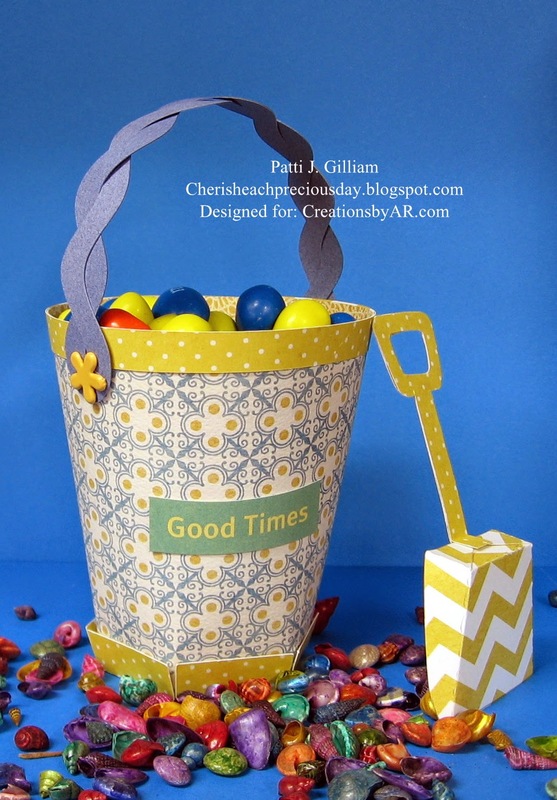 Adela has been at it again, and just wait until you see this month's great templates! These were a lot of fun to create, and it was my very first EVER creation with my Silhouette Cameo that I got for my birthday in April! With our Creations by AR Hops, there is always a winner - how can you win? will accept comments until Saturday, June 14, 12:00 noon Eastern. Winners will be announced on the AR Facebook page, and on the AR Website! Full list of blogs is shown below. 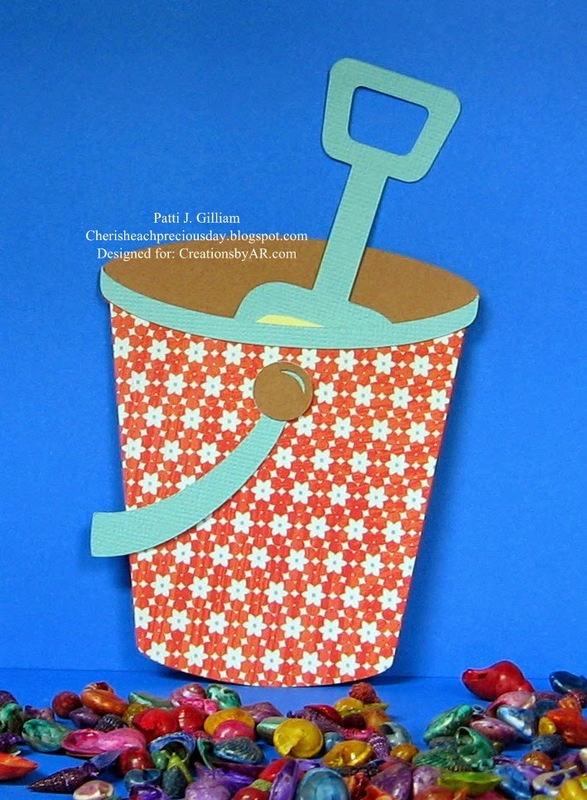 Just look at this sweet bucket, complete with it's own shovel! 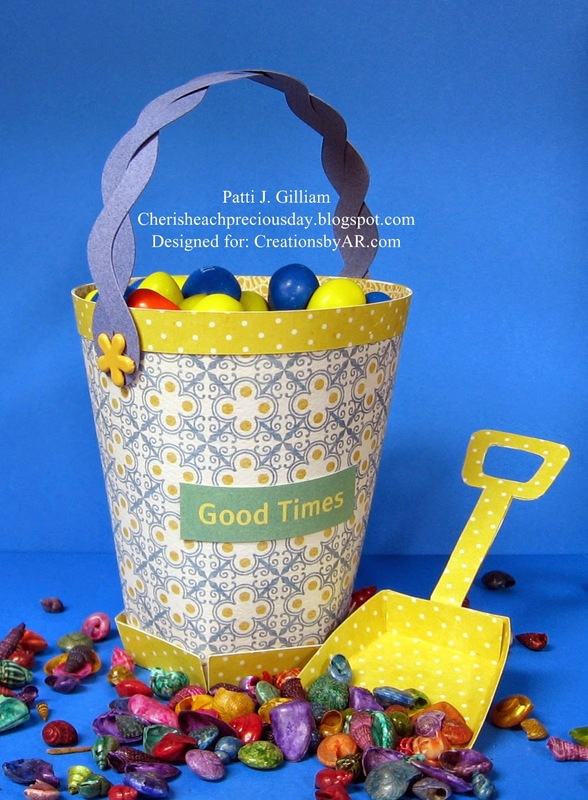 I simply added a fun accessory sentiment from the 'On the Go' Collection from the Paper Loft, and voila! A great table favor! 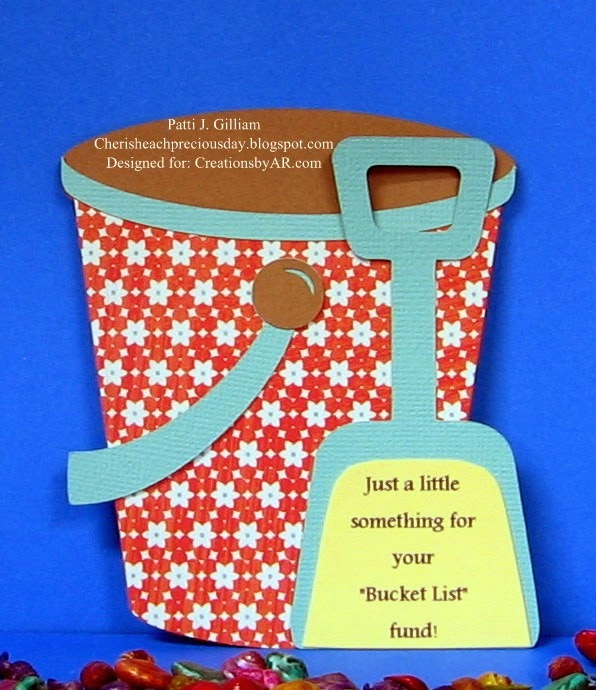 Next is the Beach Bucket Card. This photo shows the card completely assembled, and in it's own card stand. Here is a close up of the card stand. As you will see in a later photo, the stand folds flat for mailing! Here's the shovel peeking out! And...here is the shovel, complete with message! 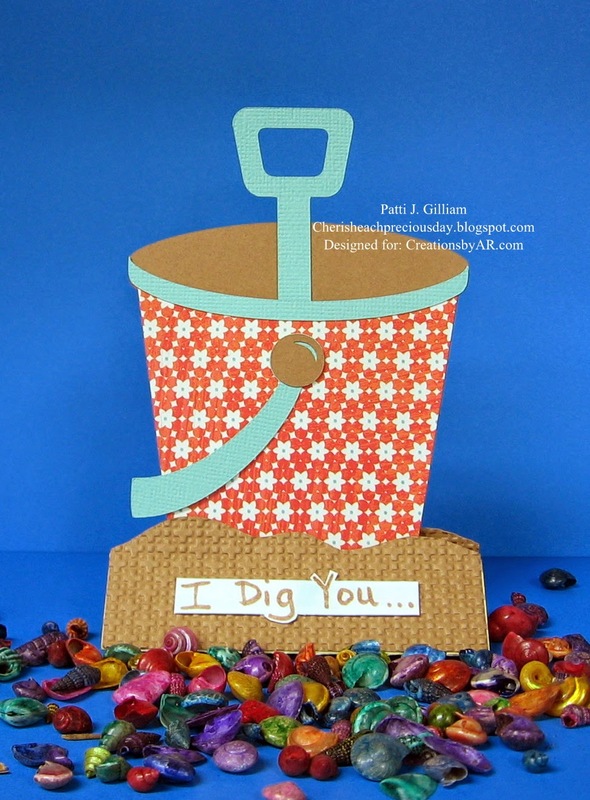 I created this card to be a gift card holder, along with the shovel! And here is everything all folded up, ready for mailing! We hope you enjoy today's hop! Thanks for stopping by, Patti J. Here is the hop order! I'm here with a post today for Die-Versions. I had a bit of messy fun with today's cards. Just a warning, this post is a bit photo heavy. I needed two get well cards. Both cards needed to be for folks that have had some major health issues to deal with, and both people love a good laugh. I hope that these brought them a few giggles this week! 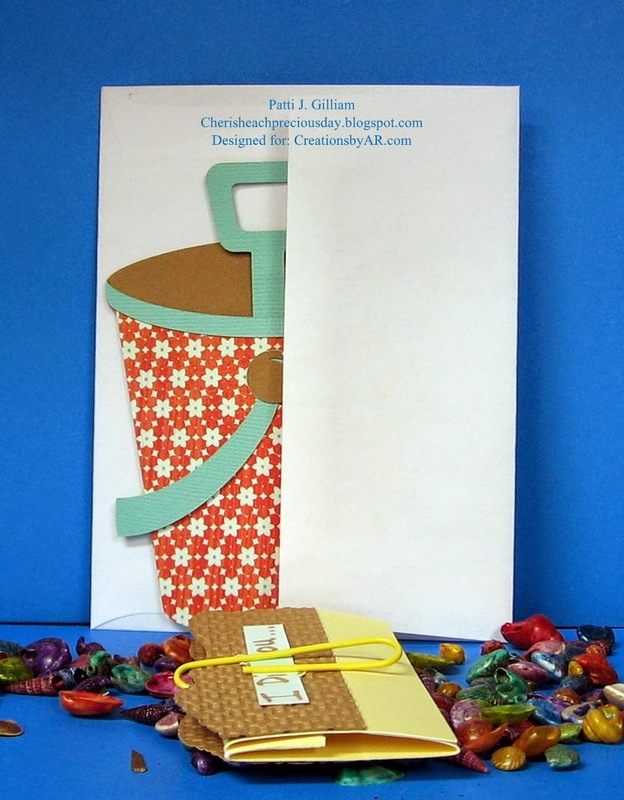 I will show you the finished cards first, followed by the instructions for the backgrounds on each card. Each card uses the "Fence Background" Whispers DVW-314. The background was cut only once...read on for details! To begin, die cut the Fence Background one time, and adhere to a piece of cardstock, using masking type tape, post it notes, whatever you have on hand. I used some Eclipse masking tape. 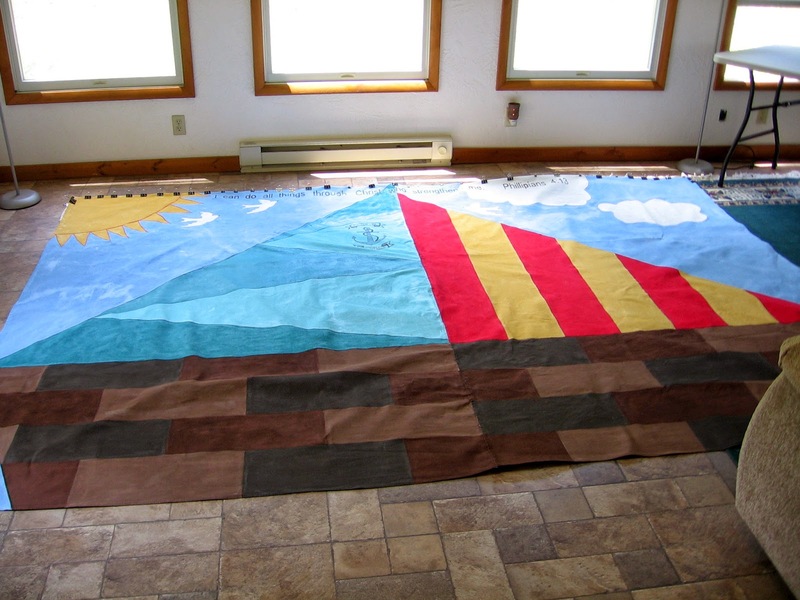 Once the die is taped down, take some masking strips, and block off all but one stripe at a time. 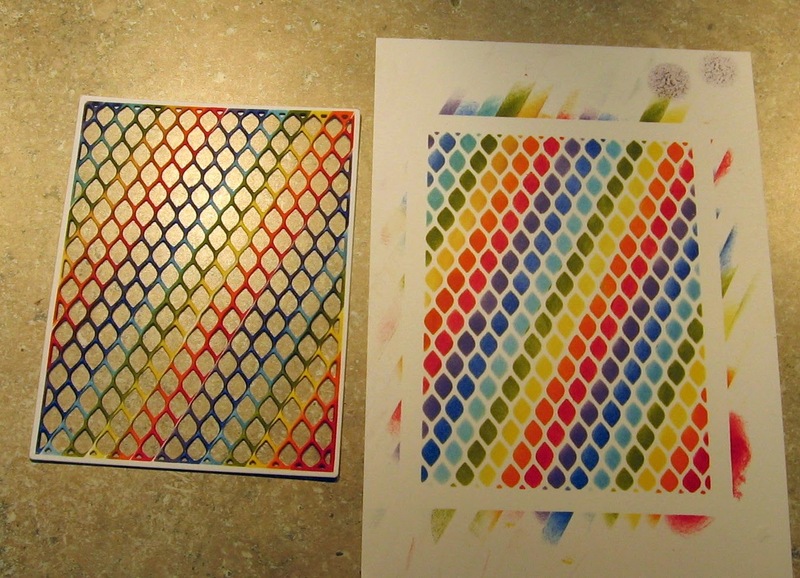 Sponge some color onto the white space, move your strips, and repeat, until the piece is completely colored in. I used a rainbow design - the color possibilities are endless. 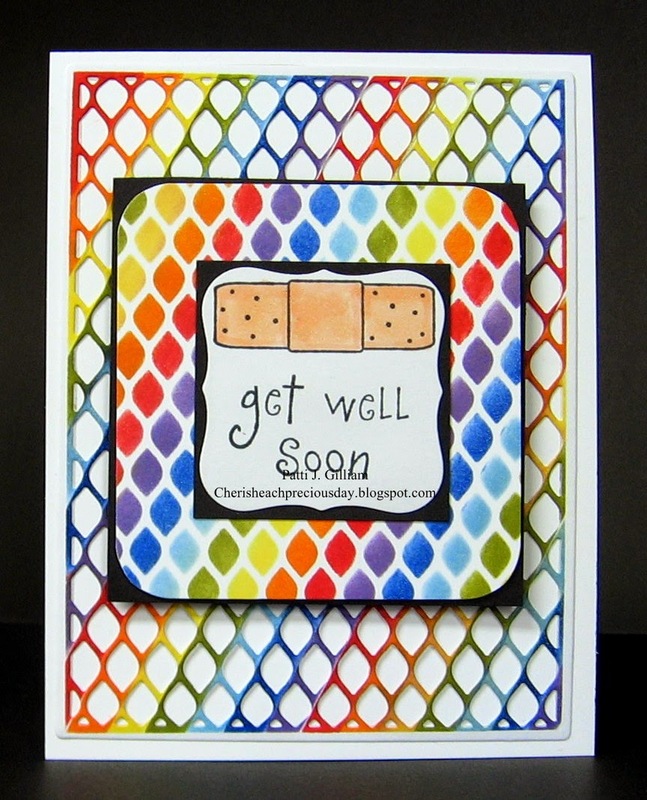 Remove the strips that you originally placed on the Fence Background to hold it to your cardstock. This is what you have. 1. You have the fence background, all ready to use on a project. 2. 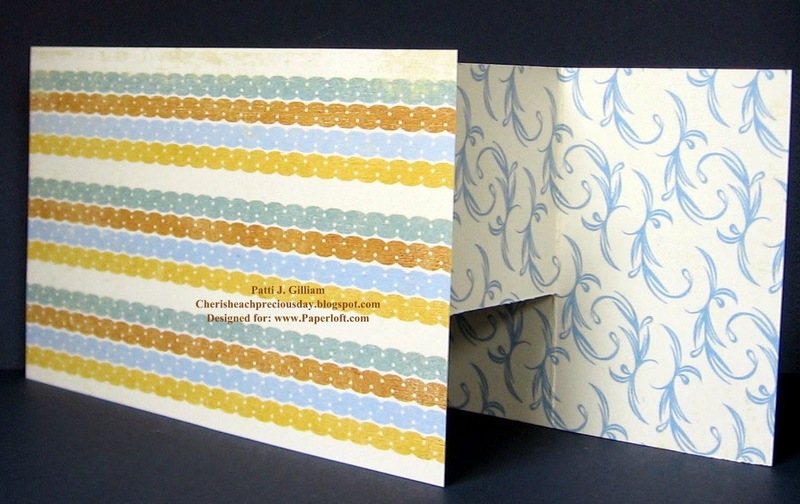 You have a beautifully colored piece of cardstock to coordinate with your background! As you can see, in the first photo, I used the Fence Background, and punched a piece from the cardstock for the focal panel. For the second card, I utilized the negative space from the first card as a frame around the fun image. You can use any of your background dies this way! 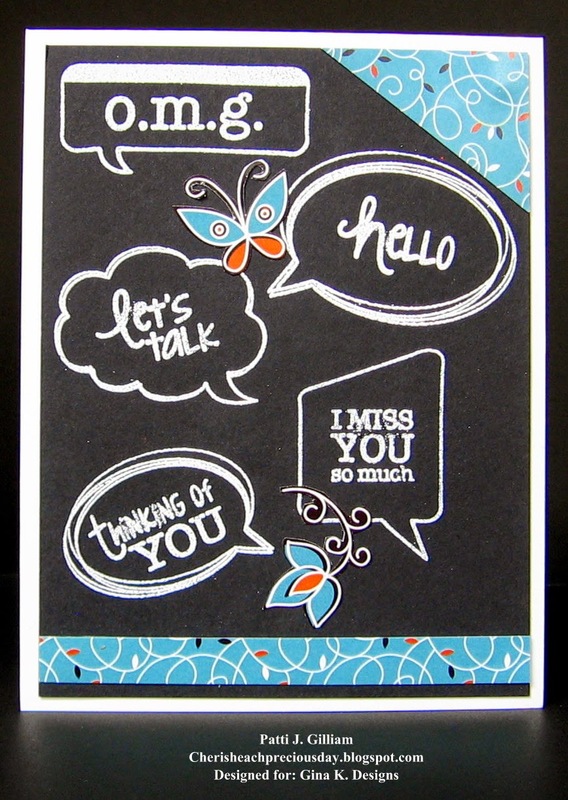 The sentiment on the inside of the second card is a Great Impressions stamp. 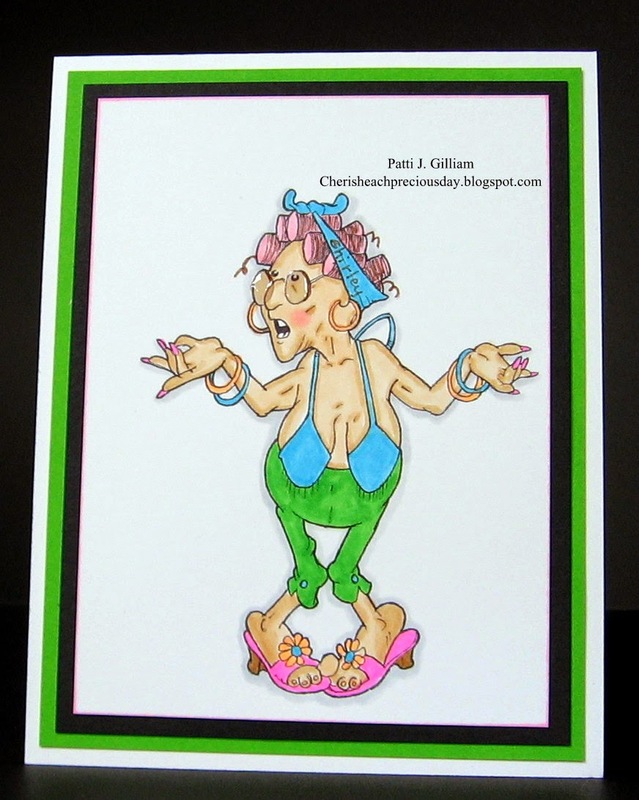 The recipient of the second card, is a lady named Pam. Pam had to give up her job and income to take care of a son after back surgery, a daughter who is losing a battle to a terminal illness, and PAM broke her ankle last week! She's totally white headed, nearing 70, and says "Well Crap" all the time. This QKR Stampede digi image seemed perfect. I drew the roll of toilet paper around the sentiment. so this image looks absolutely nothing like her. However, they both love to laugh, so hopefully, this gave them each a chuckle! Inside top edge.....we wrote our well wishes just below this sentiment panel. Inside lower panel! 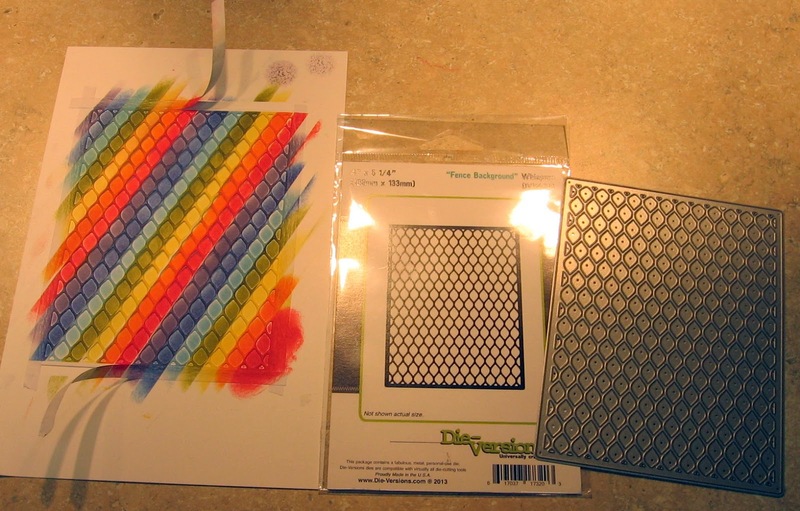 Used my Perfect Paper Crafting Mini Rulers for the nice mats. See my sidebar for details! We hope that you'll do some shopping at Die-Versions when in need of your own background dies, and please check out the Die-Versions blog - there is new inspiration nearly every day! I wanted to jump on here for a moment today to say a huge THANK YOU to a new blogging friend. A few weeks ago, I clicked the follow button on a fun, and pretty new blog. Shortly after clicking that follow button, Brenda Frame, my new friend, had a blog candy, and guess who won? Yup, the title gave it away, didn't it? I did! It was hard not to happy dance in the post office this morning, when I saw this fabulous Memory Box die! Brenda, thank you SO much! And to all of my bloggy friends out there - remember what it was like to have a pretty new blog? If you have time this weekend, hop over and check out Brenda's darling blog, 2 Peas in a Pod. She has a really cute ladybug treat holder, and lots of fun things to check out. While you are there, click that follow button! It would be fun to get Brenda to 100 followers by the end of the weekend! I wouldn't be surprised to see her follow you right back! Happy Tuesday to one and all. So, the question of the day, is 'do you ever case yourself'? an entire project, but I. LOVE. THIS. and simply had to make it one more time. It's a Sherri Baldy image, and her images are SO much fun to color! My Perfect Layers Mini Rulers are wonderful for creating the PERFECT layers! See my sidebar for details on ordering and saving some money! Hope she made you smile. I really enjoy a relaxing day in my jammies, with my coffee, and our four legged critters, who adore me whatever sort of hair day I'm having! Have a good day, and thanks for stopping by! 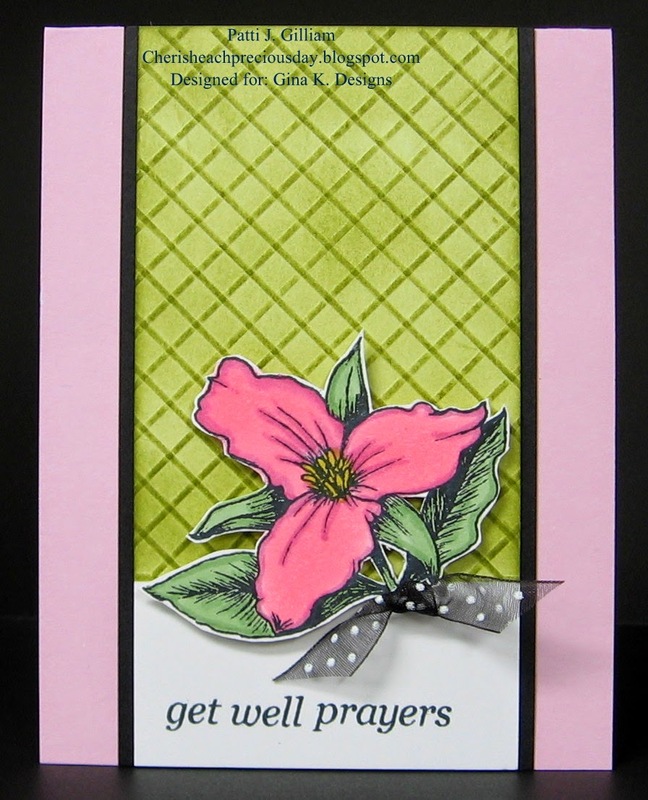 I'm so excited to be sharing another great Die-Version creation with you today. 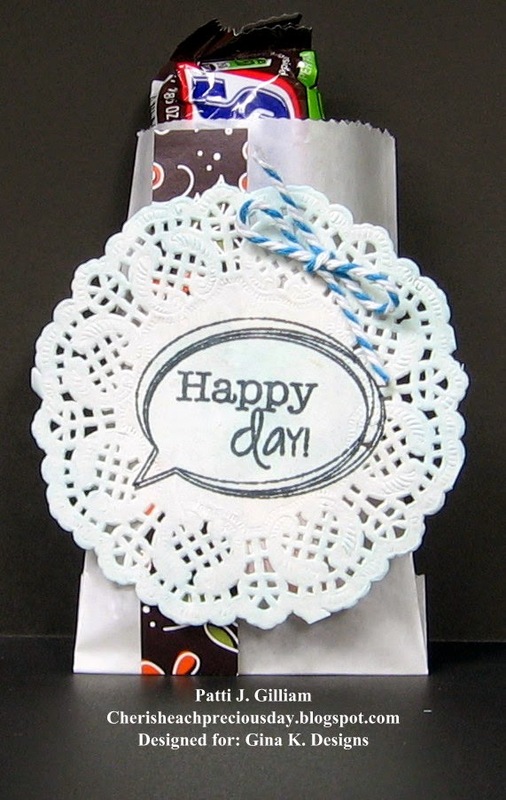 It is my day to post on the Die-Version blog, and I have chosen to work with two of the May release dies. 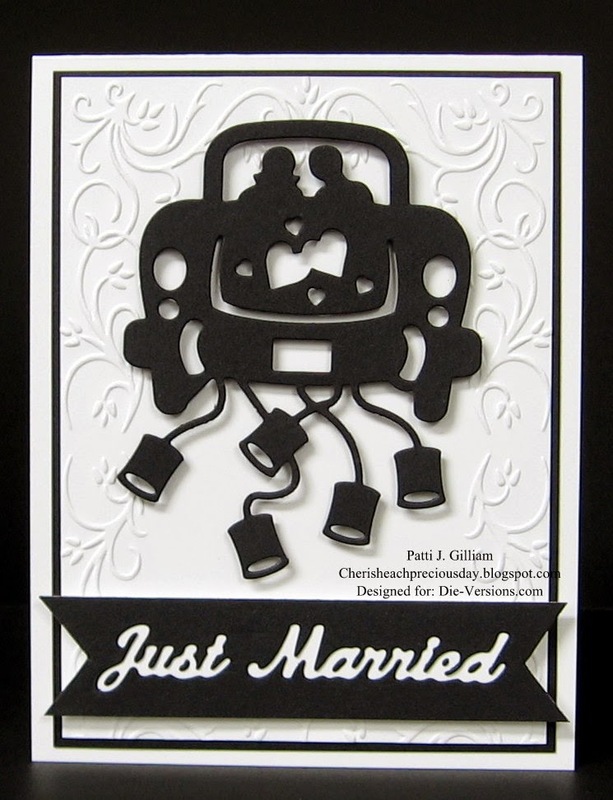 Die-Versions Whispers DVW-360 "Just Married Car" and Die-Versions Sweet Wordlets "Just Married" DVSW-038. Of course, I used my Perfect Layers Mini Rulers for the perfect black mat! See my sidebar for details! Here is a view from the side, so you can see that the image and sentiment are just barely popped up, with some 'Candy' adhesive squares. Love them, as they are very thin. 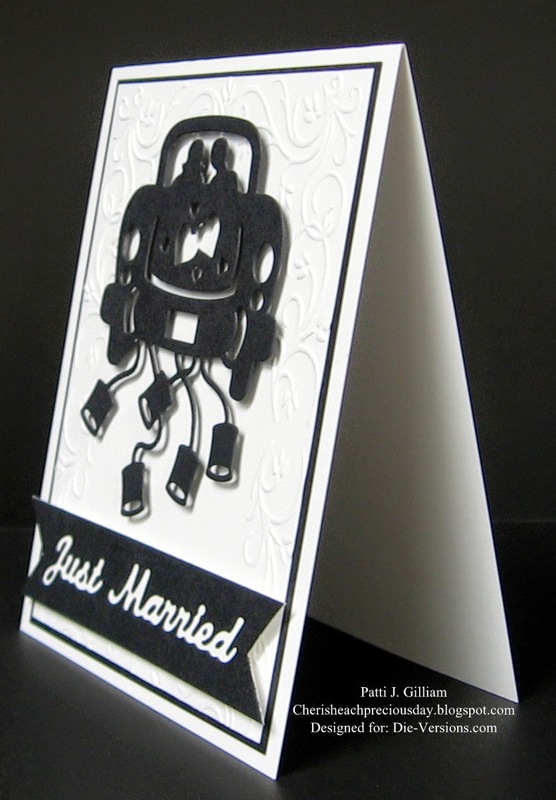 The sentiment was cut from black cardstock, and placed over white cardstock. Using my Tombow sticky tool, I picked up and adhered the little black pieces in just the right spots to finish the words. can you see the little black spots in the J, S, A, E, and D? Glad you stopped by! 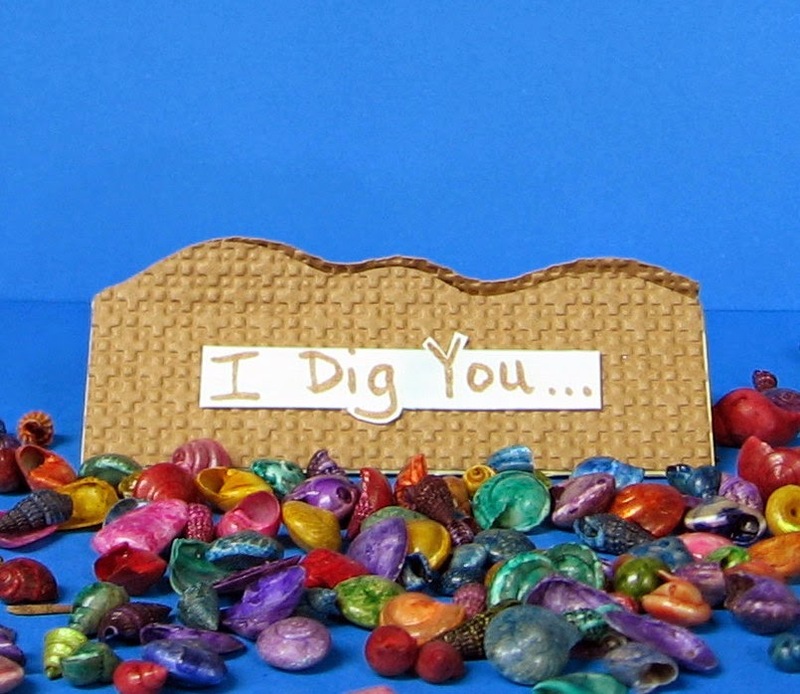 Be sure to check out the Die-Version blog each day for new inspiration, and watch for the June release - coming soon!! !